There is nothing which brightens my day more than receiving a happy little package in the mail or at my door! 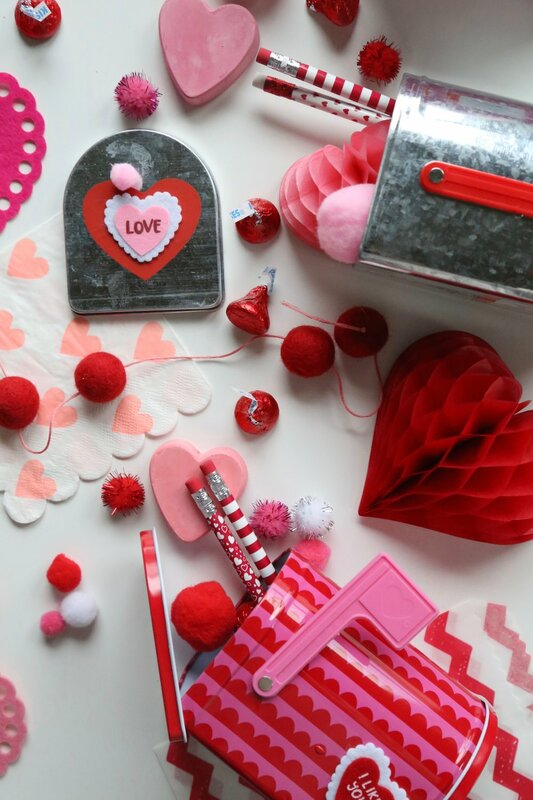 I ran across these cute mini mailboxes at Target and thought they would be the perfect thing to stuff with stickers, heart shaped sidewalk chalk, yummy treats, festive napkins, pencils, colorful puff balls, felt hearts, ribbon and anything else you might need to create a cute little valentine of your own. 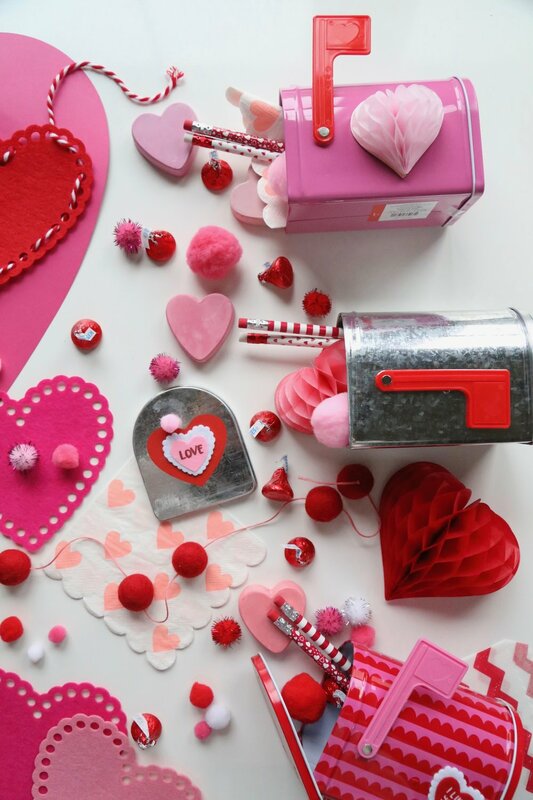 These colorful little mailboxes would be adorable to drop off at a friend's door or equally cute to package up and put in the mail.